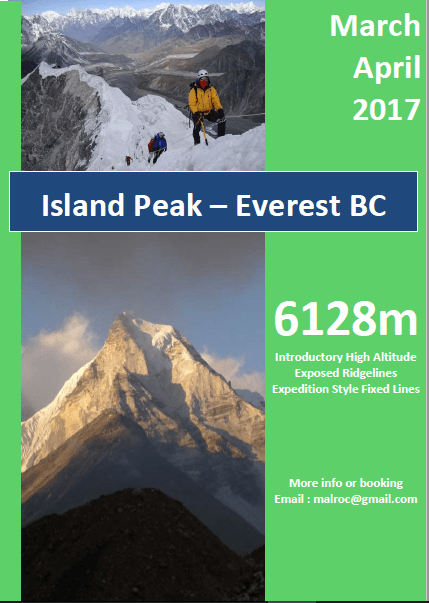 Island Peak, or Imjase is an ideal introductory high altitude peak for those who have either some or limited experience at altitude above 4000m. The peak itself is reasonably non-technical and whilst prior experience of the use of crampons and ice axe is ideal it is not mandatory. The hardest part of climbing Island peak (if this is your first time to altitude) is actually in understanding your body’s adaptation to the process of acclimatisation and ensuring you take a slow approach to the peak. After our summit of island peak we will continue up to visit Everest Basecamp where you will get outstanding views of Everest / Nuptse / Pumori and the Khumbu Valley. Having completed island peak we will be able to take out time trekking to basecamp and be fully acclimatised. Our Expedition notes contain a full outline of the expedition, itineary and equipment lists. Being a part of a guided expedition in the Himalayas isn’t about having everything done for you. There are many aspects of the trip that require a very high level of personal responsibility. An open and honest approach to how you are performing on the expedition in terms of fitness and health (AMS or otherwise) aids the overall successfulness of your climb. Over the course of the expedition your guide will ensure you have the skills necessary to feel confident and prepared to make a summit bid. It is up to you however to take full ownership of your trip. Initally you need to send us a booking request by EMAIL or by the Contact form using the button below or on the right of your screen. We work on taking payments via direct deposit. A 15 % deposit is required. Kathmandu - 4 night accommodation in Thamel. - 2nights at each end of expedition. Our typical trekking day will consist of between 5 - 8 hours of walking with plenty of opportunity for breaks / cups of tea and taking pictures. It is important to approach our mountain slowly to give our bodies the best chance of acclimatization. You will only need to carry a small day pack whilst trekking. A typical climbing day will be between 4-6 hours long. During this period you will need to carry your own personal equipment. A typical climbing pack will weight between 10 - 18 KG depending on the type and how much equipment you put in your pack! Summit day can be expected to be upto 12 - 14 hours long. 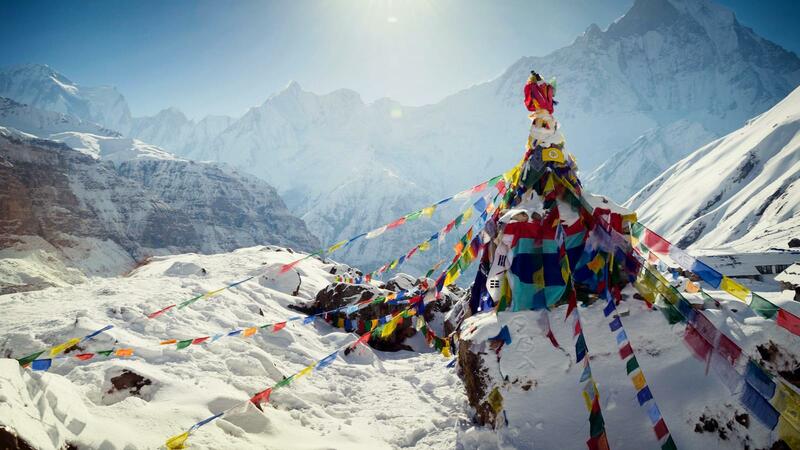 We will have a team of climbing Sherpas to assist us on the mountain. They will be responsible for carrying and ferrying the majority of the loads to camps and are the backbone of the expedition. These men will become your friends. Take the time to get to know them and understand them. The social aspect of these expeditions and becoming close friends with these hard working men can often be one of the most rewarding aspects of an expedition. The Sherpas are not there for 1:1 support, however there is an option for this to occur at an added cost. Please ask if you are interested in this option. We will have SAT phone communications throughout the trip however the is also now cell and 3G reception in many places in the KHUMBU region. NCELL or similar carrier SIM cards can be obtained in KTM with data plans. Use of SAT PHONE and SAT INTERNET SERVICES are not included in the expedition fee. Email - 1 USD / email. Being fit is essential however an extreme athletic body is NOT required. In many cases exceptionally fit people often suffer the worst on expeditions at altitude because they have difficulty going SLOW and are used to pushing through pain barriers and don’t carry very much body fat. In preparation for your expedition you should embark on a general fitness program that includes cardio, endurance and some strength elements. All members will be expected to have their own comprehensive travel and rescue insurance. Please check with your policy providers that you are covered for trekking upto 5300m and your rescue insurance will cover you for guided mountaineering expeditions. Whilst not mandatory it is however traditional to reward our staff with a tip and a small gift at the end of the expedition. The tip amount changes with respect to the level of responsibility/role of the staff member. Your expedition guide will be happy to give advice / suggest and amount for our staff. 5 nights’ accommodation in Kathmandu – breakfast included. Flights to and from Lukla. Breakfast, lunch and dinner whilst on the trek and at base camps (the expedition will be using our own cook during the trek in and at base camps). 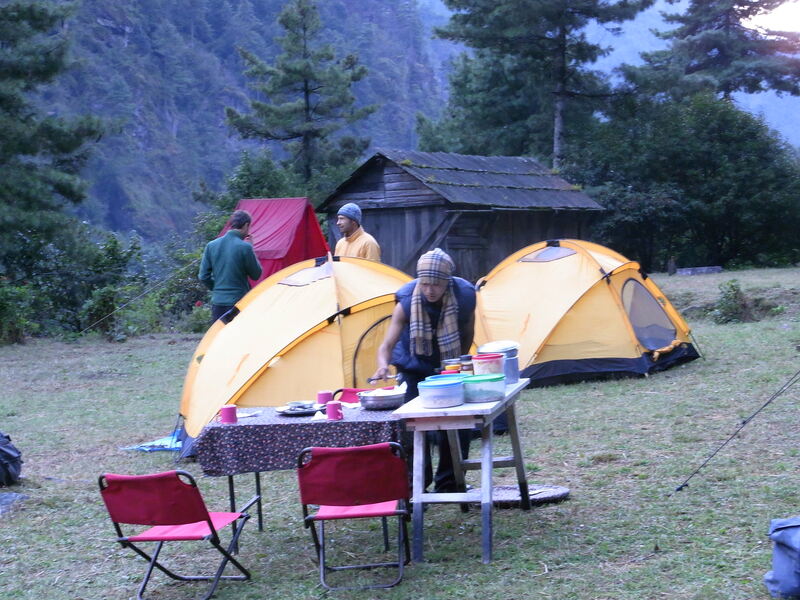 Accommodation provided whilst on trek and at base camp as either tent (twin share unless requested) or tea house. Personal travel, accident and rescue insurance. Nepal visa entry fee $90US. 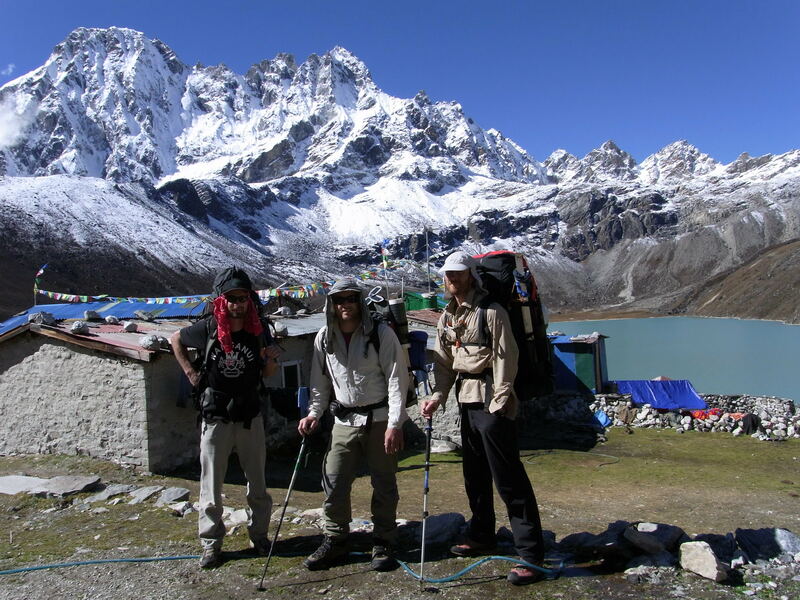 Tips for expedition staff – it is customary in Nepal to give tips to all staff at the end of the expedition. You should allow for around $200 USD for this. Personal climbing equipment and all other items of personal nature including sleeping bag (s) and thermarests. Any costs associated with you leaving the expedition early or spending additional nights in the valley in lodges, whilst the expedition is resident in base camp.